Approximate Dimensions: 6 x 4-5/8 x 1-1/4 in. Includes: 36 page booklet, 10 cards, 10 envelopes, 10 sticker sheets. For ages 6-12. 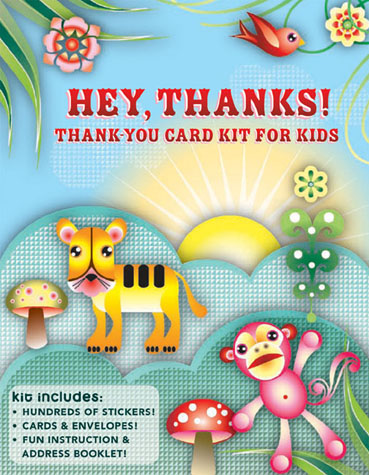 This fun kit teaches kids the importance of saying thank you. Includes everything a child needs to create imaginative thank-you notes: cards, envelopes, colorful stickers, and an easy-to-use instruction book that doubles as an address book.